eSped is well supported and widely used. When students transfer in from other districts utilizing eStar we typically have their IEP within 24 hours of request in a digital format that is editable for our next IEP meeting. This can drastically reduce the amount of time spent on data entry. Unfortunately, eStar does not provide many 'warnings' or reminders. While this can be a bonus in that we really need to review our paperwork with a fine tooth comb, it often results in needless errors that require ARD amendment agreements to be signed in order to correct. I wouldn't mind having a "HEY, you forgot to complete all components of the Autism Supplement!" warning. The time it takes me to complete an IEP from start to finish is down by a quarter to a half because this software streamlines everything and has fewer errors than other software I've used. I use esped for my job as a special education teacher. I like how easy it is to put in information and the pre made drop down boxes for everything. Once you have the proper training it is very easy to navigate and to plug in all the information you have. I dislike how fast it logs you out. After a few hours it automatically logs you out and you have to restart the entire program. Great program for special education teachers! I am able to prepare for my ARD meetings (Admission, Review, Dismissal). It helps me keep myself organized and all of my information in one spot so I am able to update it as time goes on. There are a lot of unnecessary tabs that are rarely used so many times I need to scroll so far down just to make sure I didn’t miss anything. It makes it easy to access students records for accommodations, modifications and behavior intervention plans. 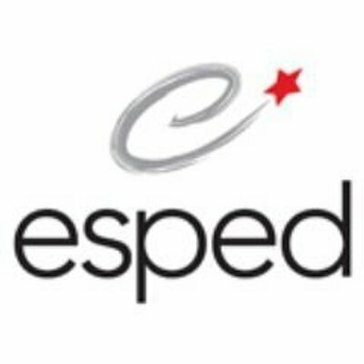 "Esped is an accessible and easy to maneuver system for educators. " Esped is clear and easy to use and maneuver. It sometimes can take long to load and if you do not save information when you have written lengthy amounts, it sometimes can erase it. It is very easy to use. I did not receive any formal training from my school district, yet was able to figure out how to create IEPs, input data collection for progress reports and report cards, as well as find information about parents to use daily. I am able to write my students IEPs in an efficient and clear way. This allows it all to be electronic and can let me archive it for years. "Need an IEP Software Program?" The company keeps abreast of all the changes in forms and the law and updates their program very quickly. eStar is extremely easy to use and the tech support is phenominal. I have been completely satisfied with this product. If you have concerns or requests, call your tech support person. They are very responsive. Attending user group meetings also helps. Writing IEPs, 504 Plans, Progress Monitoring IEP goals, and storing documents electronically. I like how our school district contacts esped and they make changes for us when needed. Very responsive to needs. I truly dislike how e archive is harder to access, especially if I'm busy looking for data, I have to exit LPAC student records and lose my place getting to archive manager and back. Immigration visa information categorization. I like having e access to work away from paperwork or the office. "eStar IEP - User Friendly Student Data Management"
I really appreciate how user friendly esped is for its users. It is nice to know that you can accurately and efficiently run reports and get the data you need. Although, I would have to say that the best feature esped has is the ease of data entering. Esped is system that has provided an efficient way of producing accurate student documents that provide all essential information. I really don't have any dislikes when it comes to esped. I have been using it for a few years now and have only good things to say about it. The times that I have had issues with esped I have been able to contact them and get a a very fast response that has solved my issue. I highly recommend eStar IEP to others looking for a great way to manage student special education records. it is an amazing tool that all districts must have in order to produce quality special education documents that are informative yet easy to produce. The ability to have all my students special education files electronically archived makes my work easier and therefore I am more efficient and productive. Additionally, it is beneficial to be able to archive all types of files in esped, this way any document pertaining to a students special education can be easily accessible. "Once familiar, easy to use"
"I have used this in IEP meetings"
It is a cumbersome program to use. It is finnicky when you make mistakes. Learn it well before using with parent meetings. It does make sure that IEP mistakes aren't made. I like that it guides you through the IEP writing process. It makes everything so organized and hard to skip anything. There's very few things I dislike. Some of the graphs are confusing for parents, but they get it once we explain it. It makes it easier for everyone involved writing the IEP to have everything in one place. EStar is very manageable and allows you to quickly input information for each student. It needs to be updated. The program looks old. Some of the screens need to be able to be linked so as to not keep repeating information. Individual plans can be developed. Informtion can be received from other companies. I find this program easy to navigate. Reports are complete and easy to understand. I found nothing to dislike about this product. "eSped useful for special educators"
Easy to navigate and helpful for all educators. Times out after 20 minutes, and can cause you to lose data. * We monitor all eStar IEP reviews to prevent fraudulent reviews and keep review quality high. We do not post reviews by company employees or direct competitors. Validated reviews require the user to submit a screenshot of the product containing their user ID, in order to verify a user is an actual user of the product. Hi there! Are you looking to implement a solution like eStar IEP?